It's free! 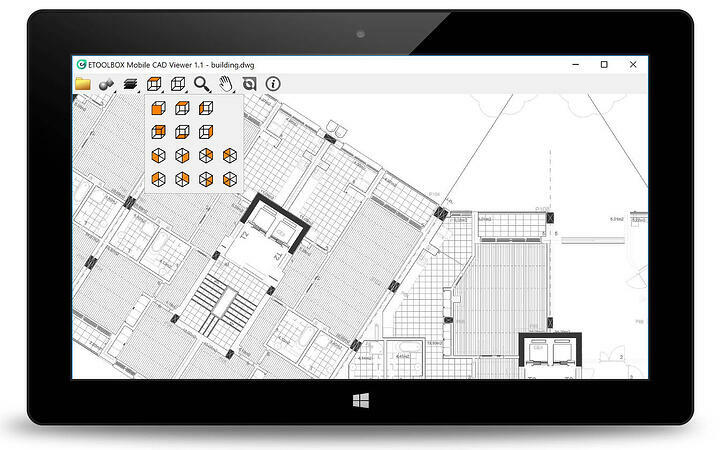 In addition to mobile devices, ETOOLBOX Mobile CAD Viewer now works on Microsoft® Windows® desktops. Get the CAD viewer at the ETOOLBOX website and start viewing .dwg, .dxf, .dwf and .dae files without having to upload your files. Check out the news announcement from CMS, maker of ETOOLBOX and member of the IntelliCAD Technology Consortium. ETOOLBOX Mobile Cad Viewer is based on IntelliCAD mobile technology. IntelliCAD mobile was highlighted at last year's IntelliCAD World Conference. See the IntelliCAD blog for a summary. CMS IntelliCAD PE Cloud streams and runs locally on any 64-bit Windows system without performance degradation or the need for special browsers. And all of the features found in CMS IntelliCAD are available in the cloud-based version delivered by CAD-Manufacturing Systems, a member of the ITC. With the latest release of CMS QuoteCAD® Manufacturing software comes the publishing of a companion e-book for third-party developers working with the QuoteCAD API. 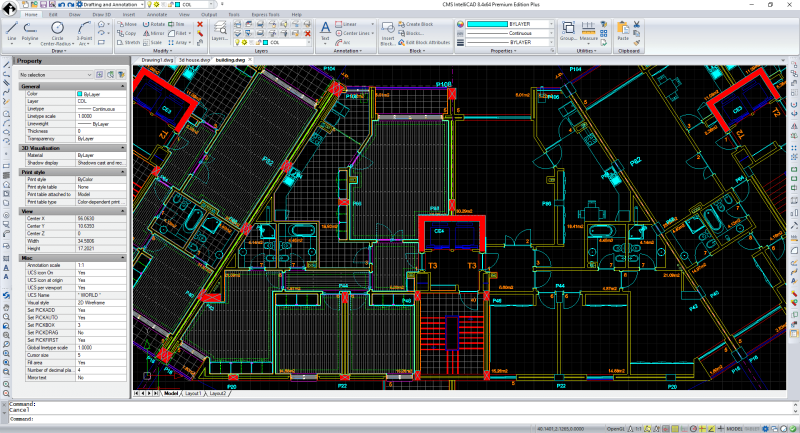 QuoteCAD, which integrates with IntelliCAD, is extendable using Microsoft® .NET, taking advantage of QuoteCAD's extensive methods of communication between its various software components. 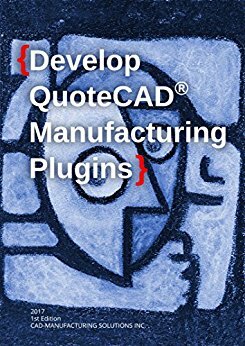 "Develop QuoteCAD Manufacturing Plugins" is available from Amazon at https://www.amazon.com/dp/B0785834VY (free for Amazon KindleUnlimited users). For more details about the QuoteCAD product, see the product page. CMS QuoteCAD® Manufacturing users are getting a mobile option: CMS ETOOLBOX® CAD Viewer for Windows. In addition to the desktop, QuoteCAD users will be able to open .dwg, .dxf, .dwf and .dae files on their mobile devices. The companion products are currently beta versions. For more details, see the CMS blog. ETOOLBOX® CAD Viewer is based on IntelliCAD Mobile technology. For a quick write-up about IntelliCAD mobile technology from the recent IntelliCAD World Conference, see the IntelliCAD blog. 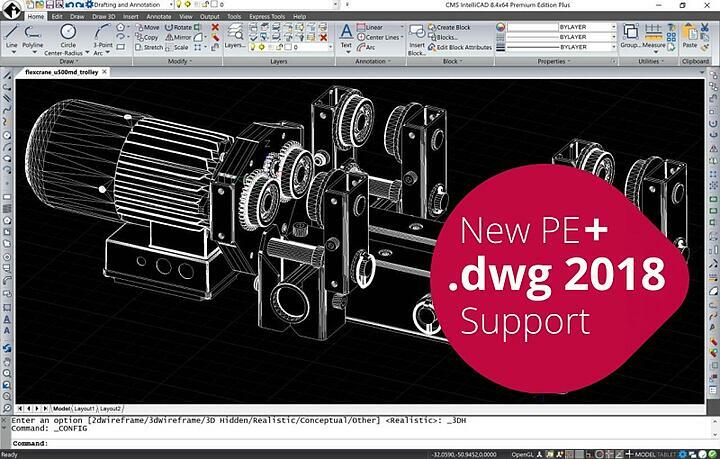 Ready for working with 2D and 3D CAD in the cloud? 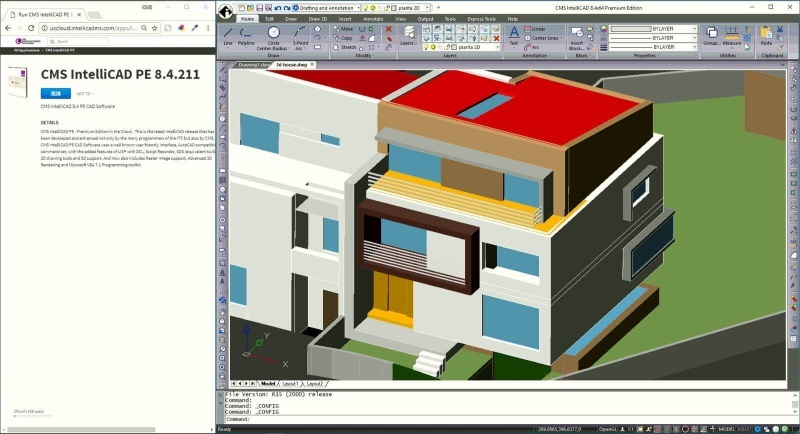 Cloud-based CMS IntelliCAD 8.4 Premium Edition was just released by CAD-Manufacturing Systems. Based on the IntelliCAD 8.4 engine, cloud-based CMS IntelliCAD 8.4 Premium Edition streams and runs locally on any 64-bit Windows system without performance degradation or the need for special browsers. And all of the features found in CMS IntelliCAD 8.4 are available in the cloud-based version. See more details and download a free trial at the CMS blog. CMS IntelliCAD 8.4 PE+ is a new 2D and 3D CAD product released by CAD-Manufacturing Solutions, member of the ITC. See more about CMS IntelliCAD and download a free trial at the CMS website. CMS IntelliCAD is full-featured 2D and 3D CAD software that is fully programmable for third-party solutions. It is designed for anyone who communicates using CAD drawings and works natively with .dwg and .dgn files. See more about CMS IntelliCAD and download a free trial at the CMS website. To learn how CAD-Manufacturing Systems benefits from ITC membership, see the Success Story.